Theorems & Thaumaturgy: Here It Is! Just arrived this morning -- my test printing of Theorems & Thaumaturgy! To my relief, everything looks perfect. A variant of the elf class with a nod to OD&D. Of the many species of elves, phase elves are perhaps the oddest. They originate from an inter-dimensional space which is inaccessible to other races, and about which they never speak. Physically they appear similar to other elves -- tall and slender, with elegant features. It is, however, always possible to identify a phase elf by his or her eyes, which are either pure black or pure white, without an iris or pupil. Their hair also tends to be of unusual hues such as violet or cyan (though this is not unknown in other species of elf). What makes phase elves truly unusual is their double personality. Each individual has two independent but interconnected personae. The two personae usually share the same name, and have complete knowledge of the other's actions, but their personalities and goals are often at odds. The two personae are sometimes even of different alignment. On any given day, only one of the two personalities is manifest in the physical world, the other having shifted into the phase dimension. A phase elf PC thus has two classes -- magic-user and fighter -- one for each personality. At the start of each game day the player can choose which personality manifests. The phasing of personalities typically occurs at the moment of waking in the morning. When a phase elf switches personalities, the only noticeable change is that the colour of his or her eyes invert (white becomes black, and vice versa). However at the moment of phasing the character's personality and class abilities switch. When a phase elf's fighter persona is manifest, the character functions exactly as a fighter, losing all spell-casting ability. Likewise, when the character's magic-user persona is manifest, he or she gains the ability to memorize and cast spells, but must abide by the armour and weapon restrictions of the magic-user class. Both personae share the same hit points (d6 Hit Dice), and use the same saving throws (the standard elf matrix). Attack rolls are made using either the fighter or magic-user matrix, dependant on the manifest persona. Phase elves use the magic-user experience table, and can advance to a maximum of 8th level. For my new Labyrinth Lord campaign I've decided, for simplicity and nostalgia, to use the basic rules -- so race-classes are back in fashion! To that end I thought I'd whip up a gnome class, as I've always been fond of the oft-reviled wee folk. I've tried to give them a bit of flavour to differentiate them from dwarves, with whom they are often conflated. Gnomes are a wee race of cunning burrowers. They are sometimes mistakenly regarded as relatives of dwarves or halflings – an assertion at which they take offence. In stature, gnomes reach about 3½ feet, and 60 pounds. They tend to dress in shades of brown and green, favouring soft leather and felt. 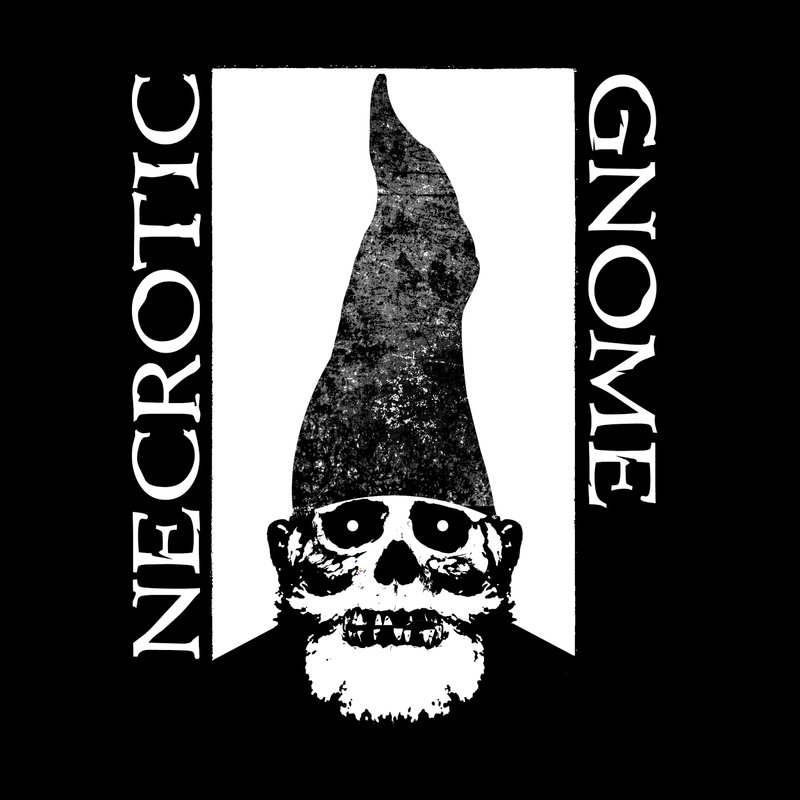 The pride and joy of every gnome is his or her hat. They sport felt hats of a variety of shapes, colours and sizes – a tall red cone being the traditional choice. Gnomes typically dwell in deep forests and secluded valleys, and have little contact with other races. They speak their own language and the common tongue. They are also privileged to know the secret language of burrowing mammals such as badgers, moles, rats, and rabbits. Such creatures, including giant varieties, are often found in the company of gnomes. Due to their habit of living in burrows and warren complexes, gnomes can detect unsafe construction when below ground. A gnome must spend one turn searching to use this ability, and has a 2 in 6 chance of success. Gnomes can also always tell how deep underground they are, accurate to within 20', and never lose their orientation underground. Like halflings, due to their small stature, gnomes gain a +2 bonus to armour class when fighting larger than man-size creatures. Gnomes may use any armour and any weapons except large or two-handed melee weapons, longbows and heavy crossbows. They use the same combat, saving throw and experience tables as halflings. A gnome with at least a 13 in one prime requisite gains a +5% experience bonus. A gnome with 13 or greater in both STR and DEX gets a +10% bonus. As you might notice, I've had a wee bit of a reorganise on the old blog. The main item of note is the new publications page, which is now home to all the PDFs I've published. Following on from my recent post on B/X character backgrounds, I thought I'd share the one-page PDF I've made for players in my upcoming dreamlands campaign. To give players complete free reign over the character they create, with no limitations imposed by the DM's preconceived notions of a campaign world. To encourage an odd mashup of characters. Just for fun. So, we could have a cleric of St Cuthbert, straight out of Greyhawk, teaming up with a star-faring barbarian and a clockwork dwarf from a steampunk maze-world. These are, obviously, heavily influenced by Jeff's What Went Wrong. Recommended for use with JB's B/X Headgear and 100 Reasons tables. These are the spells contained in Theorems & Thaumaturgy. I've got my test copy on order with lulu now, so it's only a matter of a few weeks until it'll be publicly available. It's very oh so nearly finished! I've been storming through the layout over the past couple of weeks, and have now finished all but one section of the book. That means I only have 5 pages of layout left to do -- a matter of a few hours' work at the rate I've been going. So from there all I need to do is the back cover blurb, which I'm struggling with a bit, to be honest! I'm sure I'll work something out though. As a last minute bonus, I've added an extra appendix with example lists of memorized spells for each type of magic-user, for characters ranging from 1st to 10th level. Need a fully "stocked" 8th level illusionist in a pinch? Well, look no further. 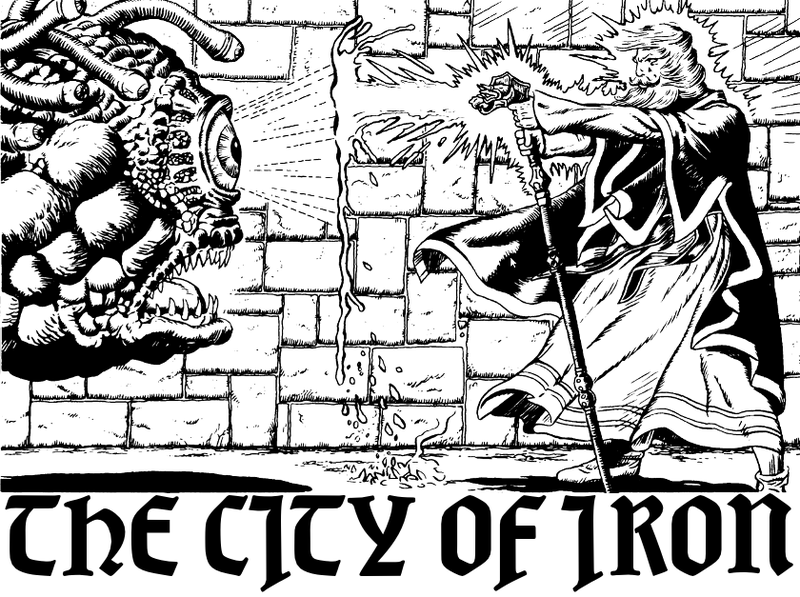 For my upcoming dreamlands campaign, I've been vacillating over whether to run the game using the Labyrinth Lord AEC (that is, with the full range of AD&D races, classes and combinations thereof) or whether to keep it simple and just use basic Labyrinth Lord. I'm veering now towards the latter. What I love about the basic 4 classes (plus demi-humans) is that each class encompasses so many sub-archetypes, without getting into the arms-race of making each of them a class of its own. So, to convey this idea to potential players (many of whom are more used to AD&D or D&D3, with their respective plethora of mechanical character options) I've been working on some tables of character background ideas. The intention is that players can either roll randomly, choose one from the list, or make up something similar. None of the backgrounds in these tables grant any specific mechanical abilities or bonuses, but are intended to be used in the same way a secondary skills in AD&D are -- as an aid to situational rulings on who can do what. Amazon just kindly informed me of the release of the Premium D&D 3.5 Player's Handbook. First thing I noticed: that's quite cheap. Second thing I noticed: hang on, the cover's the same as the original! They (in my mind somewhat controversially) reprinted the AD&D books with new covers, so I would have assumed the 3.5 re-releases would get the same treatment. But no -- they already sport the regulation fake leather tome effect, which is apparently now a requisite feature of all D&D books. Pah. Edit: though, thanks to Brendan, I now realise that they actually are revamped covers. They're just not as radically reworked as the AD&D reprints were. On the topic of D&D 3*, I had a funny turn some weeks back where I thought "maybe D&D 3 (not 3.5) has some old-school charm now", haha. After 5 minutes and reading my first class description I realised that this is a fallacy.